Wayne County Prosecutor Kym Worthy, flanked by assistant prosecutors and other officials, announces charges against Renisha McBride’s killer Nov. 15, 2013. DETROIT—Wayne County Prosecutor Kym Worthy today announced charges of second-degree murder, manslaughter and felony firearm against 54-year-old Dearborn Heights homeowner Theodore Paul Wafer, in the Nov. 2 death of 19-year-old Renisha McBride of Detroit, who wandered on to his porch after an earlier car accident seeking help. Police reports showed she was unarmed and had not tried to break into the house. “We obviously do not feel that evidence in this case shows that the defendant acted in lawful self-defense,” Worthy said, surrounded by a phalanx of assistant prosecutors, police, and other judicial officials. 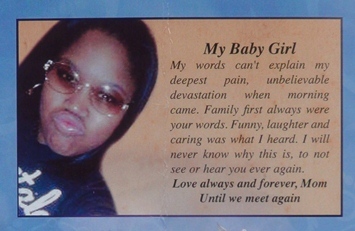 Photo from Renisha McBride’s funeral program. Wafer used a 12 gauge shotgun to shoot McBride in the face after opening his solid inner front door. According to a police report, McBride was wearing a “blue zip-up hoodie.” After his arraignment that day, Wafer was freed on a $250,000, 10 percent cash or surety bond. The case has brought international cries of outrage, and comparisons to the Trayvon Martin case in Sanford, Fla. Wafer is white and McBride was Black. A jury acquitted George Zimmerman of Martin’s death last year, leading many to express fear that it is now open season on Black youth. 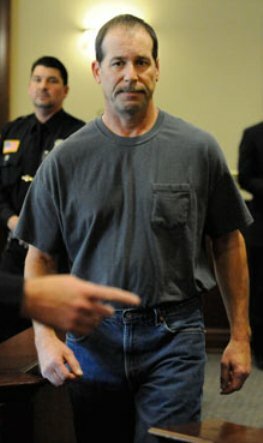 Theodore Paul Wafer, 54, at arraignment. Since Wayne County Circuit Court juries are predominantly comprised of white suburbanites, despite the County’s 42 percent Black population, it is not a given that Wafer will be convicted. 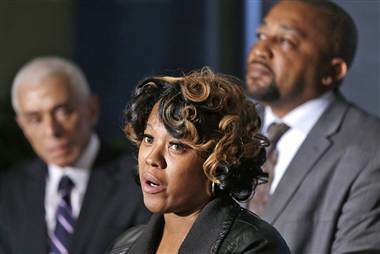 “Thirteen days ago, 19-year-old Renisha McBride was involved in a car accident in Detroit,” Worthy said at the outset of the press conference. “At the accident scene, witnesses reported that she was bloodied, disoriented and appeared to be confused. She left the scene on foot. Hours later, her lifeless body was found by the police near the porch of a Dearborn Heights home. She was found with a very large (emphasis Worthy’s) gunshot wound to the face. It’s alleged that she was shot to death by the homeowner after she knocked on his locked front screen door. By all reports she was unarmed and there were no signs of forced entry to the home. • Felony firearm, which carries a penalty of two years mandatory consecutive. Mossberg 500A 12 gauge pistol grip pump shotgun like that used by Wafer to kill McBride, who was unarmed. Worthy said Michigan’s self-defense law does not equate to Florida’s notorious “Stand Your Ground” statute. VOD and the Huffington Post were the only newspapers to report the defendant’s name prior to Worthy’s announcement. VOD obtained the information from county tax records of his home at 16812 W. Outer Drive and Dolphin. At a press conference an hour later, McBride’s parents called for Wafer to spend the rest of his life in prison. Pastor W.J. Rideout is interviewed outside Frank Murphy Hall after prosecutor’s press conference. They said Renisha graduated from Southfield High School, worked at Ford Motor Company, and has two sisters. They added that she loved animals and soccer. 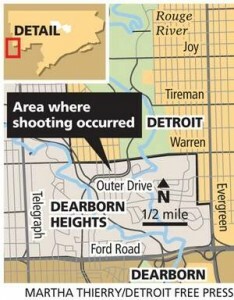 He added that Dearborn Heights police should have arrested Wafer on the day of McBride’s killing. “If that had been an African-American shooting someone there, they would have been under the jail,” he said. Wafer, a tall well-built man with a prominent mustache, was arraigned that afternoon in front of Judge Mark Plawecki of 19th District Court in Dearborn Heights. He stood mute on the charges and a preliminary examination date of December 18 was set. No one from his family was present. . He is now free once again on a $250,000, 10 percent cash or surety bond, after having been released by the Dearborn Heights police the day of the killing. Judge Plawecki set the bond after a whispered bench conference with attorneys for the prosecution and the defense. The prosecution did not object to the bond. Earlier police reports indicated that Wafer lives alone. 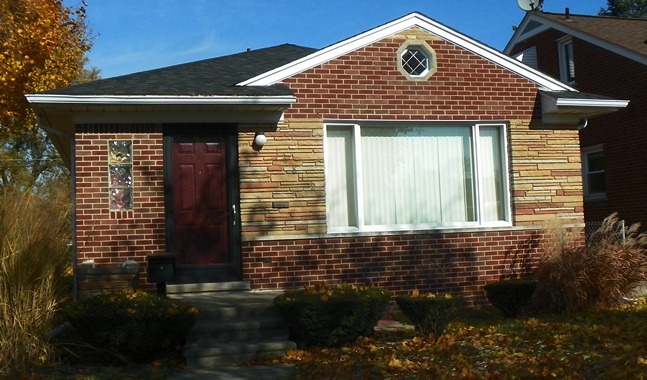 Theodore Wafer’s death house at 16812 W. Outer Drive in Dearborn Heights. Outside front screen door has been replaced with a glass door; it is not known if the screen door was taken as evidence. 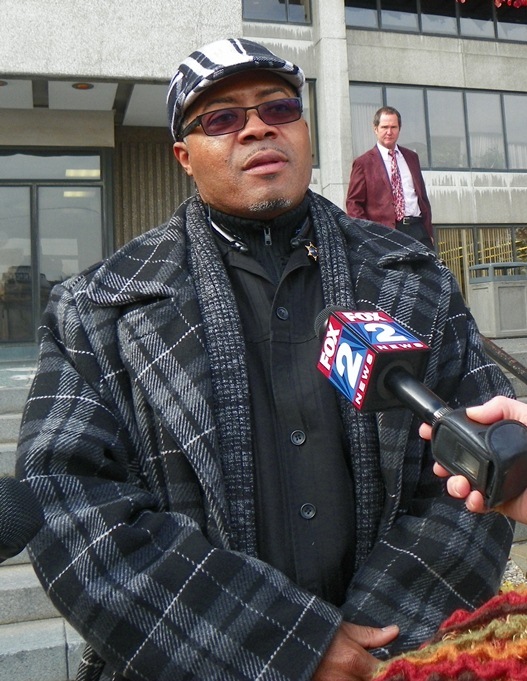 His attorneys have alleged that he will be exonerated, referring to a medical examiner’s report that showed McBride had a .0218 toxicology reading, twice the legal limit in Michigan for alcohol, along with trace amounts of marijuana. They have also stated variously that Wafer feared for his life and that the shooting was accidental. Worthy said during the press conference that Dearborn Heights police did not test Wafer for alcohol or other substances after the incident, despite his earlier history. Long-time criminal defense and appellate attorney John Royal, of Detroit, said the inclusion of “manslaughter” in the charges “preserves the option” for a jury to convict Wafer of that instead of second-degree murder. 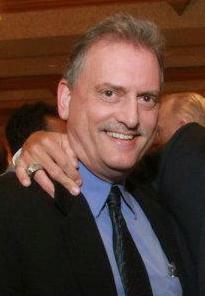 Michigan law says capital cases generally result in remand without bond. 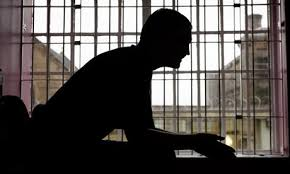 He said however that other factors enter in, including age, links to the community, and any history of not appearing for scheduled court hearings. He said he has gotten some bonds lower than that for second-degree murder charges. He added that the Assistant Wayne County Prosecutor at the hearing would likely have consulted with Worthy before agreeing to the bond. The police case report indicates that several witnesses were interviewed at the scene of McBride’s earlier accident in Detroit, on Bramell near Warren Avenue. Click on RM police report for full report. Warren runs into Dearborn Heights; Wafer lives just off Warren there. It says the individual tried to get McBride to stay at the scene, and offered help because McBride did not have a cell phone, but McBride left, bleeding from a cut hand. The remainder of the witness statements are redacted, as was much of the report before release. 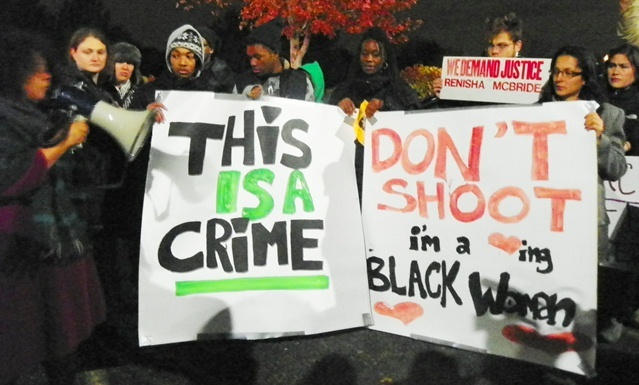 Rally for Justice for Renisha at Dearborn Hts. Police HQ Nov. 7, 2013.